Choosing a word as a theme for the coming year has become a tradition for me. I have found that for each word chosen, the year has unfolded with a deep tie to it’s meaning. This past week I have been rolling around ideas, but the word, HONOR, envelops all the other choices. My journey the last few years has brought me to freedom. I feel God gave me a time of rest and showed me who He made me to be. This path has been very self focused, but necessary. But now I sense a shift. Solid in who I am, it is now time for me to become very intentional in honoring my Creator. The most awesome result from honoring God is that everyone is positively affected by it. God is just cool like that. Honor my husband, my children, my mother and father, and in-laws by planned and impulsive acts of love and respect. Honor all those I come in contact with by kindness no matter their own behavior and not based on their accomplishments. Honor God by being my true self, by worshiping creatively, and by listening for His direction. Honor my body which is the temple of the Holy Spirit by right eating, exercise and proper rest. My mouth will need to blab less and my ear engage more so that I can sense the needs of others. I will have to stretch myself in thinking of tangible ways to honor others. Action is key. Self-discipline and go-with-the-flow will have to meet up and make friends. Intentional communication with God is essential. I must view studio time, Bible reading, and prayer as priorities so that I hear my Father above the din of life. Wow, writing this out makes it sound like work, but really I’ve already been haphazardly living this way. Choosing the word, HONOR, just brings a greater focus on what has already been knocking on the door of my heart. And I must share a link to an awesome sermon about honor given this fall at my church: Graceway 110611 by Jeff Cox. Yes, it was influential in my thinking. What is your word for 2012? Please share a link in the comments if you have blogged about it. I want to know. Amanda – that is so beautiful. I didn’t pick a word for 2011. But God did. I wrote about it earlier today! He is so amazingly faithful. And then He gave me a word picture for 2012. Wow. I love what you wrote – but then I always am encouraged and ministered by what you do and write! God bless you my friend!! Ah yes, Awe & Expectation! I just read your blog! LOVE THIS! I don’t have a word for what I’m doing in the New Year… I’m just trying harder! LOL! Rhythm. It has seemed like something of a struggle to find the dance steps appropriate for this sweet season of life, but I have finally found my rhythm. I am simply trusting that 2012 allows for blessings to spill over onto others’ lives – husband, daughter, son, friends and more! – because the rhythm has been found. “Self-discipline and go-with-the-flow will have to meet up and make friends”. I like this..
At this moment I do not have a word. I do know I look to the new year with trepidation. changes are coming my way and I HATE change. Love, love your blog. You have the gift of encouragement! I’m waiting for it, William. I appreciate your wisdom. Faith. I can do all things through Christ who strengthens me. Phil.4:13. Faith is the one word that encompasses this year. I’m hoping your recent southern excursion was warm and wonderful! I love this post Amanda. It’s so inspirational and articulated so well. The word honor is a good one and I love what you said that when you honor God, others are positively effected by it. So true. My word this year is thankful. I want to be thankful in all things and be content with where I am in location and in life. Sometimes I just want too much and take for granted the huge blessings I have. I am happy we met this past year too. Looking forward to getting more acquainted this year! I think my word for the year will be rest… I was going to write a blog entry about it today (and I still might), but I had and upper GI this morning and the Versed and Fentanyl made me lie down and rest. I was a little loopy. Now, I am just tired and my throat hurts. Thank you for this inspirational post, Amanda! I’ve never thought of a single word for the year, but I’m touched by your willingness and sincerity to ‘Honor’ this year. I haven’t given much thought but since you’ve inspired me to think of a word, I’d say “Trust”… God mainly, to lead, guide and provide. Clarity with Deliberate Action. Three words for me this year. Amazing how life unfolds. All of these words in all area’s of my life. As a wife to my wonderful husband and friend, as a mother to my beautiful children, as a grandmother to my beautiful grandchildren, as a daughter, friend, and artist. With the dream to empower others to see their God given talents and gifts. Each one of us created in His image, yet individuals. Stamped with love, kindness, courage, and understanding. True beauty at it’s finest. You make me smile. Your true beauty shines!! Happy 2012. 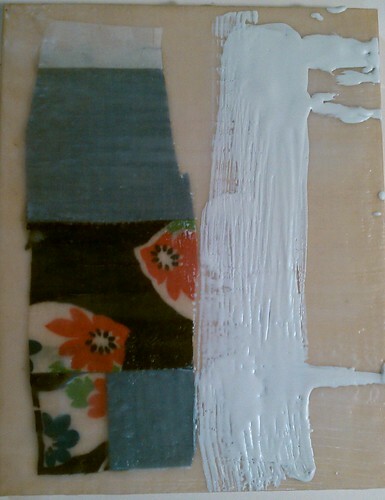 I have an abundance of fabric remnants and cardstock from my many projects. I found myself searching for this and that during a recent project. containers, color coding fabric, thread and cardstock. Did I blog about it?….Absolutely not, that means I would have to take photos.